The Nathaniel Manual is a lifestyle blog run by Nathaniel James. The Nathaniel Manual mainly focuses on Nathaniel’s personal style but also highlights his favorite foods, places to go, and people to hang out with. Started in 2013, this blog aims to bring fashion forward, sustainable style pieces to men around the globe. Sustainable style is marked by what Nathaniel believes to fit best into a recycled-fashion, eco-friendly fashion, or hand made fashions. Lots of pieces on the blog will be organic or plant derived, while mixing in other non-organic pieces. Nathaniel James grew up just outside the city in Connecticut and moved to New York in 2010. 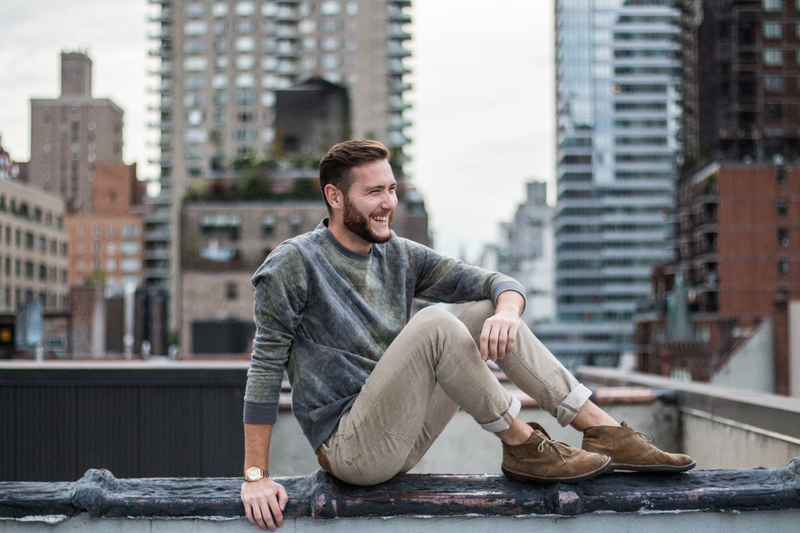 He currently lives in Brooklyn and works as a freelance photographer & social media strategist. Nathaniel has worked with/created content for brands such as Absolut, Jim Beam, Pull-In, Dig Inn, Threads for Thought, Alternative Apparel, Theory, G.H.Bass, and Coach. He is 25 years old, a pisces, and can’t stop (read won’t stop) eating pizza.